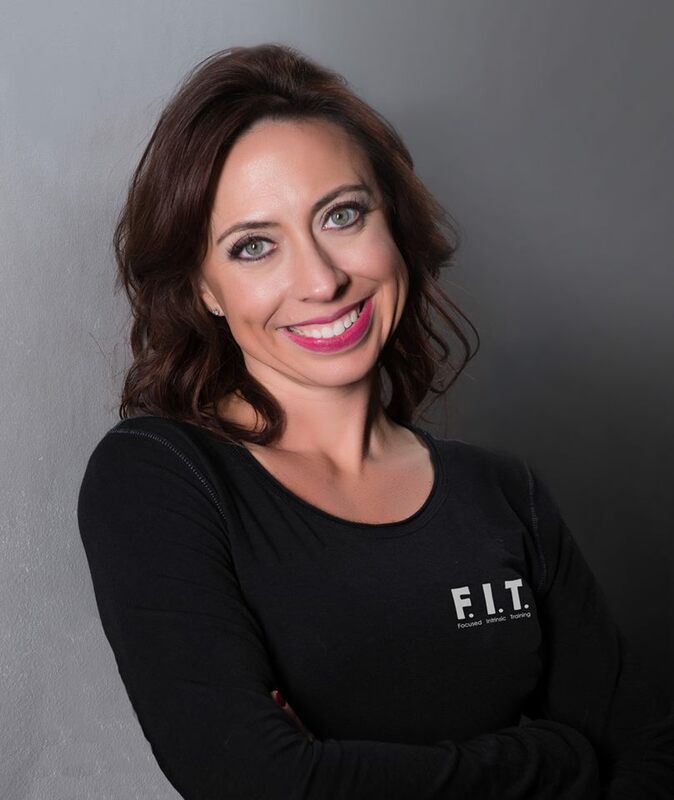 Hi, I’m Ruth Riley, personal trainer and owner of Focused Intrinsic Training (F.I.T.). My focus as a trainer is on the whole being – Balance, Strength, Flexibility, and Cardiovascular health. My aim is to help my clients achieve longevity and high quality of life through fitness. Fitness is a way of life, not a destination. I’m looking for clients who seek health and fitness as a lifestyle, not just as a quick fix or short term goal. That doesn’t mean you need to be a gym-rat or bodybuilder! It means an ongoing commitment to feeling better, looking better, and getting the most out of life. My approach to training incorporates Pilates and Corrective Movement, to help fix posture issues, provide greater flexibility, and allow you to do daily activities with more ease and comfort. Together, we will focus on permanent changes that fit your needs, schedule and lifestyle, to benefit you physically and mentally. GET STARTED ON YOUR PATH TO FITNESS TODAY! F.I.T. offers One-on-One personal training. For clients who prefer to train on their own, I also offer online-only Customized Program Design! I train out of Premiere Training — a private facility with state-of-the-art equipment for customized fitness training — and Anytime Fitness, both located in Shiloh, IL. A variety of customized training plans and affordable pricing packages are available. Please contact me to schedule your FREE consultation today! Personal trainers provide motivation and accountability, the first two big stumbling blocks for new fitness enthusiasts. I will help you establish fitness as a habit, and push you to do your best and achieve your goals. I build personalized programs for my clients, customized to their unique needs and goals. I will teach you proper form and technique, so you get the most out of your workouts while minimizing risk of injury. We will build workouts with a wide variety of exercises to challenge your body and keep things interesting. I’M NOT A GYM-RAT. IS THIS APPROACH RIGHT FOR ME? Fitness and healthy lifestyles are for everyone! You don’t need to live at the gym to improve your health and look your best. The F.I.T. approach is tailored for clients who are serious about improving their health and making fitness a part of their daily routines. We’ll discuss your personal goals and devise a plan that meets those specific needs and keeps you excited for training sessions. ARE THE PRICING PLANS AFFORDABLE? Each of my training plans are customized to the needs and schedule of the client. Depending on your budget, schedule and fitness requirements, I can offer a variety of affordable pricing packages. Pricing is variable depending on number of training sessions per week/month, additional services beyond the gym (like home-workout plans), and other special considerations. Contact me for a free consultation to find the plan that’s right for you. IS YOUR TRAINING SCHEDULE VERY FLEXIBLE? Arranging your busy schedule around consistent fitness sessions can be challenging. I provide flexible scheduling so you won’t struggle to “make time” for your health. Contact me for a free consultation to discuss current training session availabilities and to devise an ongoing schedule that fits your lifestyle. No matter what stage of fitness you are, Ruth takes the time to make sure you are doing each lift correctly to avoid injuries. Her approach is energetic, challenging, and goal specific. She listens to you and designs programs based on your fitness goals. 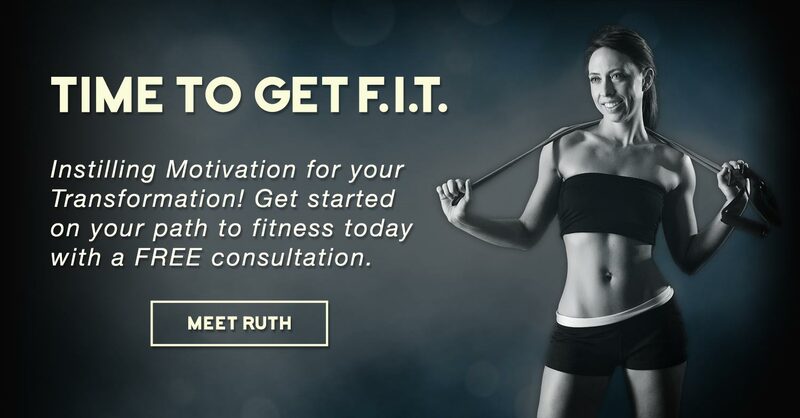 Ruth is incredible and creative, if you are a client you are going to be in the best shape of your life! Ruth has been wonderful! I’m so glad I found her. She has great coaching skills and professionalism. And, her ability to customize my workouts on-the-fly, when necessary, is really helpful. I’m able to do exercise I never thought I could and getting stronger and more flexible. Thanks to her, I am finally reaching my fitness goals! I have been training with Ruth since the summer and absolutely love her. She is very knowledgeable and passionate about what she does. She makes working out fun and keeps me motivated to do my best even on the days that I don’t see her. I’ve see more progress in myself, not just in weight loss but total body composition, posture, flexibility, etc. since working with her. Signup up with her is easily the best decision I have ever made when it comes to reaching my personal goals! Before Ruth, I was in physical therapy for almost 4 years due to a car accident. Best decision I’ve ever made because my strength, flexibility and posture are dramatically improving after only 2 1/2 months. She listens to your limitations and goals and makes necessary accommodations. I look forward to every workout and she takes time to follow up to see how home exercises are going. You can tell she loves her job because of her passion for helping. She inspires me! Focused Intrinsic Fitness - All Content ©2015-2019 Ruth Riley. Website by Armadian Media.